Ayre, John. "Northrop Frye". The Canadian Encyclopedia, 27 July 2017, Historica Canada. 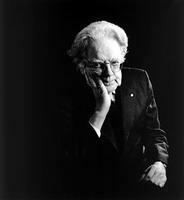 https://www.thecanadianencyclopedia.ca/en/article/northrop-frye. Accessed 24 April 2019. Herman Northrop Frye, literary critic, university professor, editor (b at Sherbrooke, Qué 14 Jul 1912; d at Toronto 23 Jan 1991). Herman Northrop Frye, literary critic, university professor, editor (b at Sherbrooke, Qué 14 Jul 1912; d at Toronto 23 Jan 1991). A professor of English at Victoria College at the University of Toronto since 1939, Frye achieved international recognition for his literary theories, expounded in his study of William Blake's prophecies, Fearful Symmetry (1947), his grammar of mythic form, Anatomy of Criticism (1957), and his 2-volume study of how the Bible provided the symbolic underpinnings of Western literature, The Great Code (1982). These works, particularly Anatomy, made Frye one of this century's leading literary theorists and resulted in his receiving honorary degrees from many of the major universities in the Western world. A particular honour was his appointment as Charles Eliot Norton Professor of Poetry at Harvard for the 1974-75 year. Raised in Moncton, Frye first came to Toronto to compete in a national typing contest in 1929. He enrolled at Victoria College and, except for 2 years of study at Merton College in Oxford, he remained associated with the college throughout his life, becoming chancellor in 1978. While a graduate student, Frye decided to write a definitive study of Blake's prophetic poems, then considered incoherent, even aberrant. In Fearful Symmetry, Frye showed that Blake deliberately used a regular pattern of symbolism which reflected Milton and ultimately on the Bible. In Anatomy of Criticism, Frye expanded this idea by outlining a verbal universe of repeated archetypes and symbolism and rhetoric that binds all literature together. This universe is divided between desired and abhorred visions, the former expressed by comedy and romance, the latter by tragedy and irony. Frye's evangelical Methodist background influenced his view that there is in human culture an inherent impulse towards affirming the sunnier vision and implementing it in the world. Ironically his own view of Canadian literature was notoriously sunk in gloom. Frye contended that like the poetry of his own mentor, E.J. Pratt, it is the product of a "garrison mentality" of beleaguered settlers who huddled against the glowering, all-consuming nothingness of the wilderness. Its birth lay in a blighted winter, rather than vibrant spring. Despite his insistence on the ultimate visionary process of literary studies, Frye has demanded the kind of discipline in study he experienced himself in music, which has an intensely integrated theory. He teaches that literature is not a grab bag of thousands of individual works but an integrated universe of recognizable forms. He always saw a close association of disciplined recognition of form with major literary talent, such as that of his own preferred subjects, Spenser, Shakespeare, Milton, Blake, Yeats and Eliot. He spurned a predominantly evaluative approach in criticizing literature because evaluation tends to say more about the critic than the work studied. This led him into endless international controversy, which has obscured his fundamental purpose in trying to establish an objective and universally accepted terminology for literature studies. Frye's impact was strongest in the mid-1960s, when a new generation of American scholars, notably Harold Bloom and Geoffrey Hartman, were influenced by the ideas of Anatomy. They were attracted by Frye's insistence that literary criticism was not a poor cousin of philosophy, psychology, linguistics or aesthetics but a symbolically co-ordinated discipline which outlines the shape of the human imagination itself. As such, it has its own authority, which can be useful in the study of other arts and social sciences. 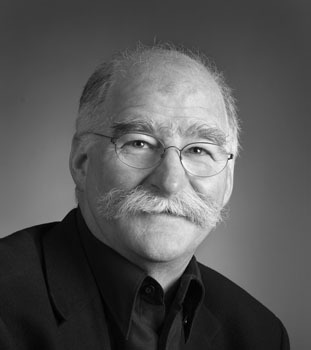 While Frye believed his ideas could also help creative writers focus their work, the notion was often abused in the Canadian writing community. The prestige of Frye's thinking nevertheless reinforced a significant mythic trend in Canadian poetry in the 1950s and 1960s, particularly in the work of such former students as Jay Macpherson, James Reaney and Margaret Atwood. Frye's own work, which is quite theoretical, is best approached through his lectures in The Educated Imagination (1962). See also The Bush Garden: Essays on the Canadian Imagination. Northrop Frye CentreSee a biography and bibliography for Northrop Frye at the website for the Northrop Frye Centre at the University of Toronto.